There is actually another smaller loop set that has only one escape into trap room #24. 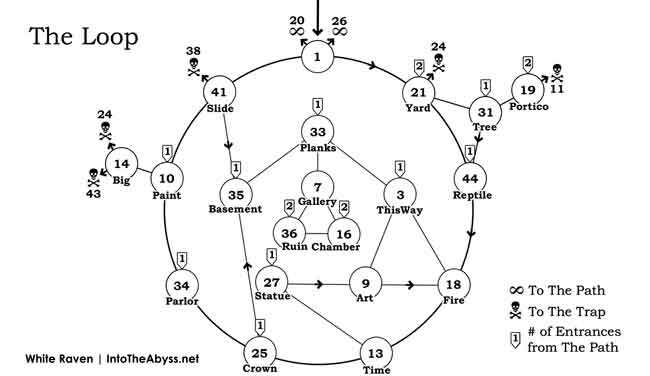 The rooms are 6, 11 (to trap room), 22, 38, 40 and 43. These are the areas referred to as the trap rooms.